Our vineyards in the municipality of Cella Monte are carefully cultivated to achieve the grape quality and the vineyard health that only natural methods can guarantee. Our winery has been growing grapes organically since the year 2000. That means we do not use any chemical or synthetic products to promote vine growth or defend them against parasites. Our vineyards produces only small quantities of grapes, but, if necessary, we still remove a certain number of grapes before ripening to enhance the quality of the remaining ones. The vines are trained as espaliers and pruned following the Guyot method (arcadegrape). On each grapevine only one cane is trained each year. This is 6 – 8 nodes long, plus one spur of two nodes for the next year. Removal of side shoots and the tying of young shoots are done manually, as is the removal of excess or unwanted leaves to improve ripening of the fruit. This means that some leaves around the bunch of grapes are removed, allowing air and light to get through for better condition and colour. The soil is fertilised with organic substances (stable manure) every second or third year, and if necessary with mineral products taken out of quarries – for example potassium sulphate and magnesium. The space between the rows is grassed and the soil under the rows is worked mechanically. We use only products from natural origins to protect the vines against the majority of diseases. Against downy mildew we use copper compounds, limiting as much as possible the number of treatments and the dosing. 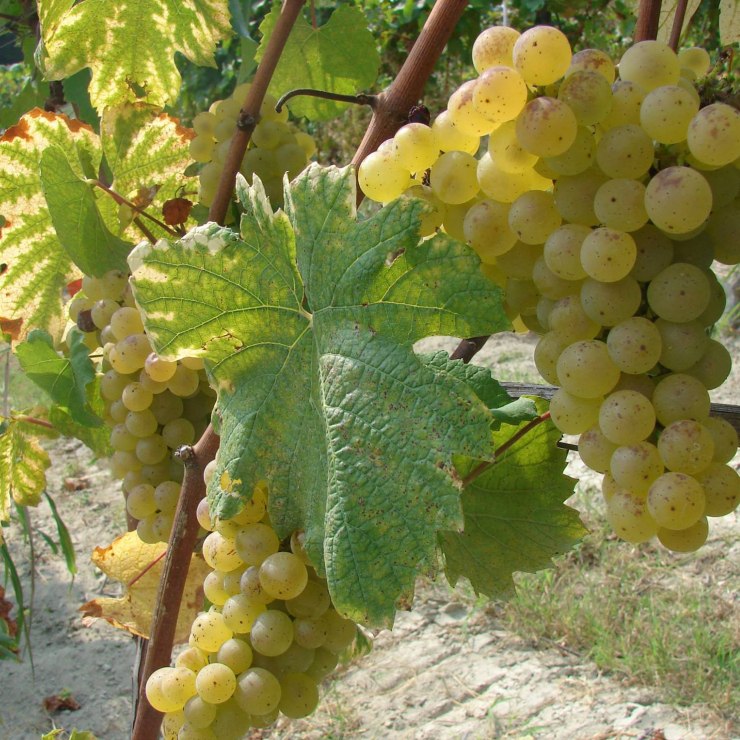 Against powdery mildew we use sulphur and against shanking it is sufficient to apply agronomic measures such as balanced fertilisation, removal of unnecessary leaves, tying the branches without bundling them and grassing the vineyard. Against harmful insects we use natural pyrethrum, a chrysanthemum extract that is neutralised by daylight in one day.